See group metrics of people accessing God’s Story worldwide. The group feature connects individual accounts to show sharing results as a whole. Groups can be any size and you can join multiple groups. View your global reach with real-time stats online and through HDTV-ready dashboards that show metrics. 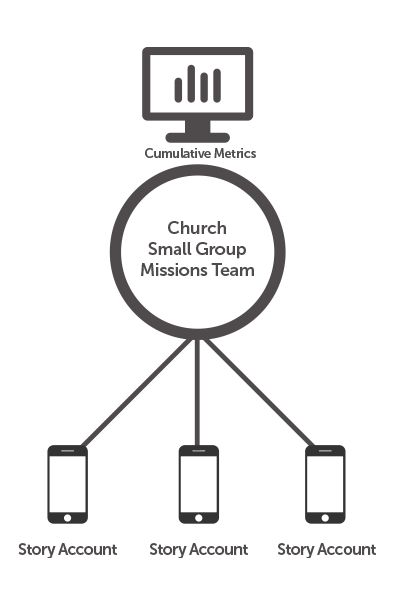 Request free access to HDTV ready dashboards with beautiful metrics of your group's Gospel Reach.